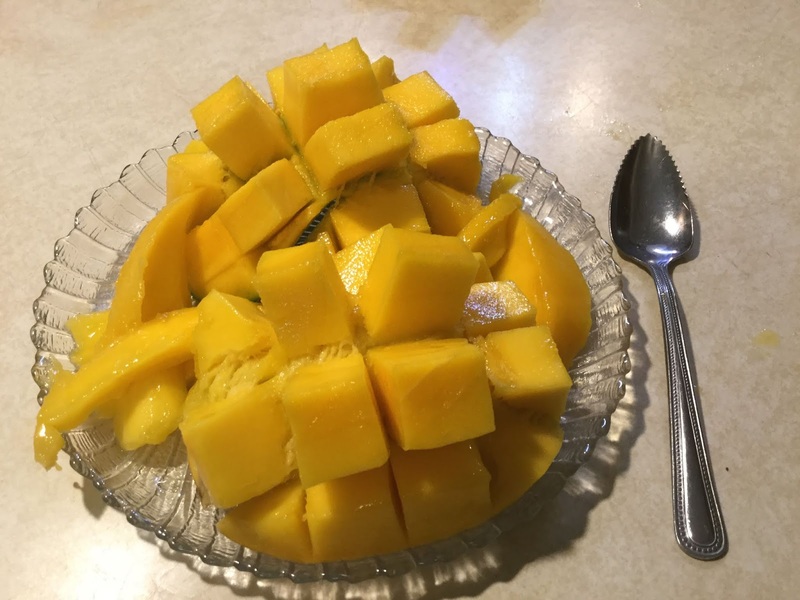 It’s mango season and mangos are one of our favorite fruits. Growing up in Taiwan John fondly remembers the huge mango tree he had in his back yard. When we lived in Pakistan "the mango man" would come several times a week with a basket of mangos for sale. Huge, delicious mangos and so many varieties. 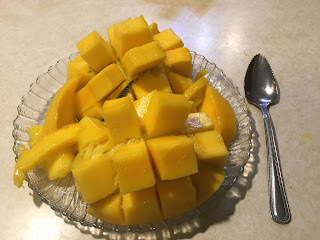 We have tried many different ways of cutting and serving mangos but this is one of the simplest. But be sure you have a very sharp knife. We use the amazing Rada knife sharpener. John has filleted a lot of fish so he thought he would try the same technique on a mango. Works nice. So fillet a mango and do the tango. A fancy way to serve a mango. Instead of cutting through the skin, cut to the skin and then cut crosswise. 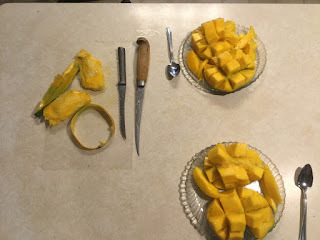 Then turn the mango inside out. Mangos are my fav, also!